Despite some rhetoric pointing in a different direction, Shanghai-based Asia-Pacific CEO of J.Walter Thompson Tom Doctoroff sees fast improvement in the always difficult relationship between both world powers, he tells Yahoo Finance. The Chinese government has singled out a number of American businesses operating in Asia. Antitrust probes have been launched against Microsoft (MSFT) and Qualcomm (QCOM). “The Chinese have very ambivalent feelings regarding [America],” says Doctoroff. The U.S. and China are strategic competitors, says Doctoroff, there is hostility but also agreement—and as of late, more agreement than ever. 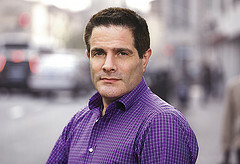 Tom Doctoroff is a speaker at the China Speakers Bureau. Do you need him at your meeting or conference? Do get in touch or fill in our speakers´request form. Are you interested in more stories by Tom Doctoroff? Do check this regularly updated list.